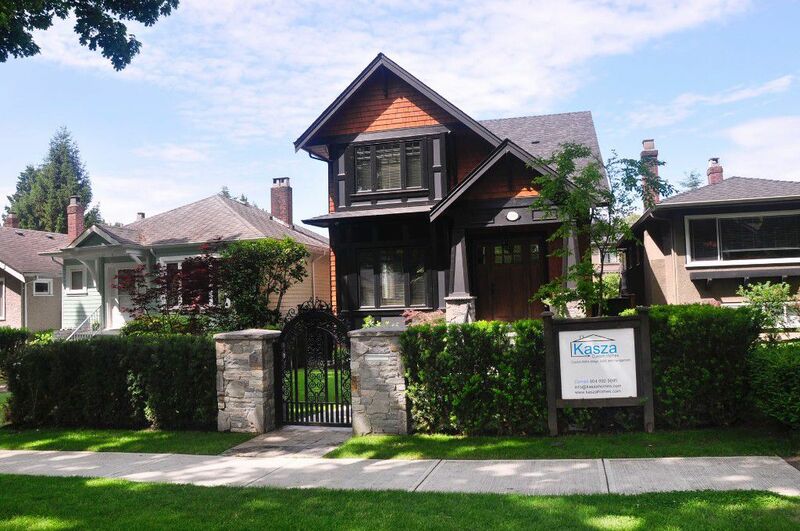 Luxurious, Executive, Classic Style Home located in the upscale Kerrisdale neighbourhood. Completed in 2014, this European built 5 bed and 5 ½ bath (2,922 sq. ft.) home is equipped with top-end finishings for the most discerning lifestyle. Main floor features include; an entertainer’s dream kitchen, marble countertops, travertine & wood flooring, Egyptian marble fireplaces, 10’ coved ceilings and double French doors leading to a deck overlooking the backyard garden. Second floor features 4 bedrooms with 4 en suite bathrooms. Vaulted ceilings and a Juliet balcony create an intimate master bedroom that is complimented with a jacuzzi tub and custom tiled shower/steam sauna. The lower level features a theater room, wine bar and exercise room/bedroom.